Despite often being an under-appreciated department, sound makes up a large part of a film. You can watch a film with poor images and good sound; but you wouldn´t watch a film with good images and poor sound for long! On our courses we use professional sound recording equipment to help you capture crystal clear audio. 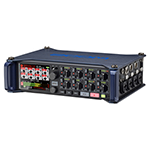 The Zoom F-8 is our main audio recording device. The F8 is an extremely versatile audio recording unit. In recent years advances in video have made filmmaking accessible to creators everywhere, but the accessibility of professional audio devices has just not kept pace. Audio field recorders, with essential features such as time code, have been unobtainable for most until now. The F8 is made for serious filmmakers and sound designers, with 8-input/10-track recording, super low-noise preamps, and support for 24-bit/192kHz audio, the F8 captures the highest-quality audio. Not only is the F8 versatile and feature rich, it is the smallest field recorder with eight XLR combo inputs ever made. Weighing just 2.1 pounds, its aluminum chassis is both rugged and durable. The F8 is also the audio first field recorder to come with wireless Bluetooth control. The F8 provides 8 discrete inputs with locking Neutrik XLR/TRS combo connectors. Each input has a dedicated gain control knob, a 6-segment LED level meter, and Record Ready and PFL switch. The onboard mixer enables flexible signal routing from all inputs to all outputs, either pre- or post-fader, with user-adjustable level, pan, and input/output delay. 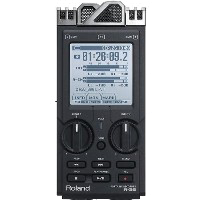 In the field we also use the Roland R-26 Field Recorder. 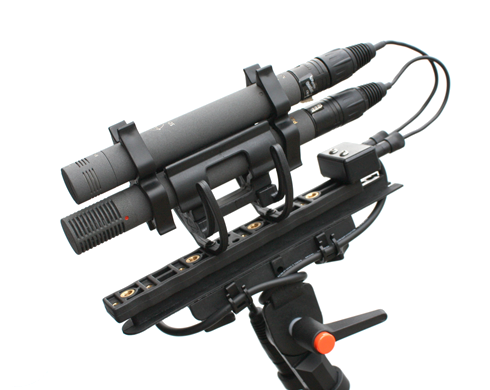 This small hand held recorder has 6 individually switchable microphone inputs, omni and directional mics and a very simple user interface running on a easy to read touch screen, this is a very user friendly unit to use. Simple it may be, but basic it is not. The R-26 is a fantastic piece of kit when it comes to recording sound. The straight forwardness of the system is only outdone by its ability to record clean and pure audio in even the windiest of locations. 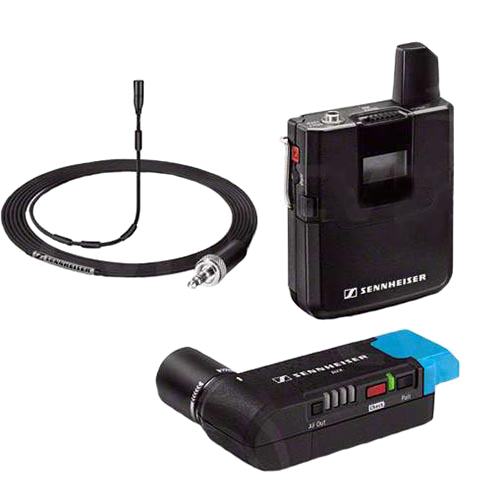 Sennheiser manufacture the best broadcast standard audio microphone in the business, so naturally, it is these which we use. The K-6 modular system is a versatile and adaptable interchangeable microphone system that allows the user to change the 'heads' (ME62, ME64,ME66, ME67) on the microphone without having to carry multiple microphones out on location. Naturally out on location the wind factor is one of the largest concerns when recording any type of audio. Wind noise is a load of low rumbling that completely destroys your audio, and the faster the wind blows, the louder the effect is. Rycote manufacture by far the best windshields in the broadcast television and cinema industries, and therefore these are the windshield of choice for the UK Wildlife Film School. The new AVX-MKE2 system is absolutely fantastic when it comes to recording a presenter on location or someone on the move; as the miniature mic clips directly to the lapel of the presenter, with the radio receiver plugging directly into an XLR socket in the side of the camera… Absolutely no wires or noise ! 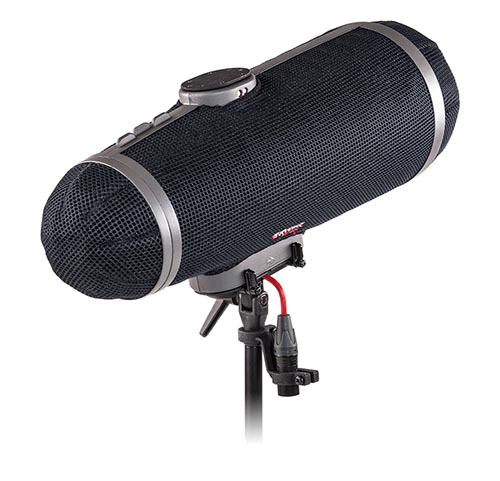 This gives you amazing flexibility allowing you to keep the input volume of the omni–directional microphone really low so you only record the presenter´s voice without any of the surrounding background audio. We have 3 of these units. Unit 1, For the Interviewer; Unit 2, For the Interviewee; Unit 3, For the overhead boom mic. When recording and editing in the field the need to be able to listen to good audio is paramount. 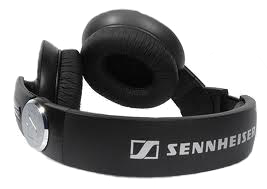 We use a bank of Sennheiser closed system headphones running through an independently powered power amplifier/signal splitter to get the best results. During editing, this allows several students to listen to the edit as it progresses, without the need to take off the headphones and pass them around the group, whilst everyone listens to the same audio clips several times. In turn this vastly speeds up the edit and allows you to complete more editing in the time you have.